was founded by Steve Goforth more by accident than design. 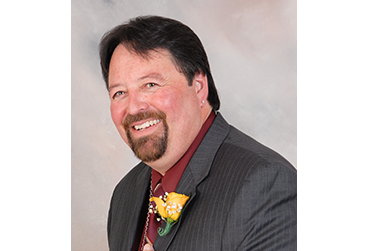 Steve graduated from Arizona State in 1981 with a Bachelors degree in Electronics Technology and a minor in music. He returned to Oregon to find there were not a lot of jobs for holders of B.S.E.T. degrees. He went to work for a local music store as their electronics “specialist”. After working there for a few years, it became obvious there was a need for a knowledgeable AV rental facility in the area. In 1989, Steve went on his own journey to fulfill this specialty need. He acquired a partner who believed in his ideas and together, Sound-n-Light Dimensions was born. Renting AV equipment throughout Oregon and Northern California, the company came to represent some of the larger manufactures of audio and visual equipment. During this period, Steve became a member of the National Association of Music Merchants and a Synaudcon member. Taking advantage of the factory training courses and Synaudcon course instruction, Sound-n-Light Dimensions started to pursue the AV retail market. By 1992, the business was running at full throttle and Steve knew it was time to step up and make it grow. In 1994, Steve bought out his partner and renamed the company High Performance Audio Visual. In the intervening years, through ongoing education and certification High Performance AV, has grown to represent over 90 AV manufactures. High Performance AV has expanded into lighting and custom video displays and video security. Production AV rental including staging and lighting for corporate and concert level events. Currently members of the National Systems Contractors Association and Synaudcon. High Performances technical staff regularly attend Infocomm and advanced ESTA training courses.